This interview appeared for the first time in the Nordic Wittgenstein Review, Volume 2 / Number 1 (Aug 2013), eds. Alois Pichler, Simo Säätelä, Yrsa Neuman. We kindly thank the editors, James Conant and Niklas Forsberg for their permission to publish the text here. Forsberg: What brought you to philosophy? Or, to make room for a number of different kinds of answer, what in philosophy spoke to you? Conant: Well, I don’t think I started out knowing what it was about philosophy that spoke to me – or, for that matter, even that philosophy spoke to me at all. I think I discovered that to some extent in a rather indirect, roundabout, way. I started out thinking that I was supposed to be doing something in mathematics or physics because those were the subjects that I was good at when I was young. When I got further into those subjects, I did not know enough about what philosophy was to know that it was the philosophical aspects of physics and mathematics – the philosophical questions that lay at the foundations of those forms of inquiry – that spoke to me most. At the time I would have just said that I am interested in certain fundamental issues that come up in physics and mathematics. Forsberg: Was there some particular reason that you were first drawn to physics and mathematics? And is there some particular reason why you had trouble recognizing the questions that most interested you there as philosophical? Conant: Yes, I suppose so. But the reasons were merely biographical. I was named after my grandfather, James Bryant Conant, and I was supposed to be his reincarnation. There was a sort of an unspoken contract to this effect between myself and my parents. It was never really clear to me what was the chicken and what was the egg here: That is, if they thought I must be the reincarnation of him because I was good at subjects such as math and physics, or if they thought I was good at subjects like math and physics because I was my grandfather reincarnated. I just knew I was supposed to be good at them, because I was supposed to be just like my grandfather. It was part of my childhood self-conception that I had to be good at these things. Yet, at the same time, I had the sense that I had been placed on a set of rails: No matter how far I travelled, I would just have to keep going in the same direction as I had already been travelling, and I would never arrive at my destination. That is, I would never grow up to be my grandfather. So I was fated to disappoint both my parents and myself, because I wouldn’t live up to this picture of who I was supposed to become – which involved things like winning a Nobel Prize, becoming the President of Harvard, and a few other accomplishments on that order… So by the time I reached the university I was eager to get off the rails. But every time I got off for a moment, I got nervous, so I hopped back on. This led to my having, as a student, a somewhat schizophrenic pattern of study, where I’d take these math and physics courses which I’d do rather well in, but wasn’t completely excited by, and then I’d take various more humanistic courses (on topics like Dostoyevsky or Kierkegaard, or existentialism) and then I would no longer feel I knew what I was doing, or where I was heading. So I came to think of myself as having a kind of split intellectual personality. I think I even thought, for a time, that there was something deep and interesting about being split in two in this way. Forsberg: Did you feel that this was something unique about you? Conant: Unique? No. Special? Yes. I had a couple of teachers who fit this mold. I thought they were special in an interesting way. This was wrapped up for me, at the time, with a question about what it meant to be Jewish. These teachers were themselves Jews, as it happens. (Perhaps I should say that my mother is Jewish and my father is not.) If I had to sum up my picture of the shape of this mold, which seemed to me at the time worth fitting myself into and emulating, I would say it consisted in my wanting to be a “Positivist Rabbi”. Forsberg: What do you mean by “Positivist Rabbi”? Conant: Good question! What do I mean by that? Well, the official teaching was positivist on the outside, with a softly whispered intimation that the positivist worldview left out the deep and important things, but that these things were deep and important anyway. So, on the official teaching, there was a kind of logical-positivist view of the natural sciences and what they deliver, how they give us the truth about things. This was combined with a sense that that view of the world was somehow deeply incomplete: That what it is to be a full Mensch, a full human being, is to be interested in the many things that come to be left out in that picture – aesthetics, ethics, and so much else which ended up seeming as if it could only have a mystical sort of importance, given that it had no place in the official world-picture. So that these important matters became things one cultivated in an unofficial capacity, so to speak. One cultivated them in a kind of sublime and understated way, while at the same time recognizing the deep incompatibility between them and what is possible according to one’s first-order scientific world-picture. I don’t think I felt at the time that there was anything incoherent about this; just self-consciously schizophrenic. Or, to put things more accurately: I perhaps sensed that at some level there must be something incoherent about this, but this very incoherency seemed deep and interesting to me, rather than philosophically troubling. I learned this attitude from some of the teachers I admired, my positivist rabbi exemplars, as it were. These teachers were not necessarily in the first instance philosophers. They were mathematicians, astrophysicists, historians of science. So in learning mathematics and physics from them, I was unwittingly swallowing a whole philosophical attitude without being able to recognize it yet as a form of philosophy. I just thought that that is what it is to see the world aright. Forsberg: So how did you go from these subjects to philosophy? Conant: What I set out to do was to follow a course of study that would allow me to graduate as a Physics major, so that I could then go on to become a physicist. Many of my fellow undergraduate friends were on that track too, and they went on to get jobs at huge labs. But I realized that they ended up leading lives, working in those labs, that struck me as completely uninteresting; and those lives no longer had anything to do with what originally drew me to physics. What was that? It was, I was discovering, the large fundamental questions I mentioned before – for example, philosophical questions about the nature of space, the nature of time, the nature of explanation, the relationship between theory and reality, and so on. One of the ways in which I solved this problem (that my studies were threatening to lead me into a boring life) was by increasingly taking courses in the history of science. This subject drew on both my knowledge of physics and of mathematics, while at the same time letting me stick with these more fundamental questions. Eventually, after six years of being at the university on and off, I looked over my course requirements and the courses I had taken, trying to figure what I should major in, if I wanted finally to be done with college and graduate immediately. I was still a couple of courses short of a Physics major. I was also a few courses short of a History of Science major. But it turned out that I already had everything I needed to major in Philosophy. Actually, I hadn’t taken that many courses in the Philosophy Department per se, but some of the courses I’d taken in the Physics Department, for example, on space, time and motion, counted towards a Philosophy major. Similarly, some of the courses in the Math Department, for example, on introductory and advanced mathematical logic, also counted. So, too, for some of the Lit courses on Kierkegaard and even Dostoyevsky. So I could be finished and graduate if I declared myself a Philosophy major and then enrolled in a number of so-called “Tutorials” in the Philosophy Department. So I took these and graduated as a Philosophy major. So part of the way that I first discovered that philosophy was my calling is not because what was happening in the Philosophy Department at Harvard at the time seemed to be calling to me. Rather, I first discovered something superficial and institutional: namely that a great many of the courses I had taken counted, according to Harvard University, as Philosophy credits. It seemed to me at first that the unity was merely institutional. At first, it seemed like a happy miracle that this Philosophy Department thought all of these courses were relevant to the study of philosophy somehow. I think that one reason I didn’t myself become a Philosophy major earlier, and in a more self-possessed way, was because when I actually went to so-called “philosophy courses”, I often didn’t find those courses as exciting as the others. The courses that took up philosophical issues but were listed in other departments and taught by non-philosophers originally excited me more. In retrospect, as I look back, and compare my case with that of similarly-minded undergraduates in my own university now, I recognize that this aversion to Philosophy courses was, to a large extent, a mark of my own intellectual immaturity and my own underdeveloped intellectual appetite. At the time, like many people when they first come to the subject, I preferred the way philosophy tasted when it came wrapped in another subject to the way that it tasted when it was served raw. Forsberg: Do you think this was your fault or the Philosophy Department’s fault? Conant: Probably some of both. One part of the explanation lay in the ways in which the institutionalization of philosophy can help kill off almost anyone’s appetite for the subject. Courses in a philosophy department can involve a form of over-specialization that chokes off one’s original motivations to the subject. There is a tendency to package the subject in ways that make it hard for undergraduates to recognize what draws them to philosophy in what becomes of philosophy when it is taught as a university subject. But another part of the explanation just had to do with me at the time: I was confident in my ability to do well in courses that involved math and physics. There was there a certain kind of technical currency that was fungible from one course to the next; whereas it was much less clear to me what I was doing in a philosophy course and what was required of me there. So even though these courses attracted me, I wasn’t sure what they were about and I was afraid of failing in them. I didn’t understand the standards by which intellectual competence was measured there. This was connected to the fact that I would sit in on a number of philosophy courses but not take them for credit. I did not really know what was going on in these classes; I had no idea how to write a paper that would hit the bull’s eye. So I made sure, when I was not confident that the paper would receive a good grade, that I did not have to write a paper. I would just sit in on those classes. Forsberg: Could you give me an example? Conant: Perhaps the clearest case was the first course I went to that was taught by Stanley Cavell. I saw the course description. It sounded very interesting somehow and it had these names in it that I somehow knew were important. It was called Heidegger’s Writings on Nietzsche, or something like that. I went to the class and I sat in on it, and Cavell was standing in the front of the room talking to the class, and I literally could not understand anything that he was saying. I just didn’t understand it. I didn’t know what it was about. I looked around at the faces of the people in the room and they seemed like very intelligent, interesting, young people. Some of them were graduate students in Philosophy whom I had come to know in other contexts. I respected these people, and they were engrossed, completely absorbed. They would ask serious-sounding questions and they would get serious-sounding answers. I could see that something was going on here that was serious and interesting, but it was completely over my head. And that scared me. So I think there was a kind of approach/avoidance conflict with regard to philosophy that was generated in me by these experiences. Forsberg: How did you overcome this anxiety? Conant: I am not sure how. I am not even sure I ever completely did. It took me a long time to just learn to live with the insecurity that comes with choosing a subject in which the different practitioners of the subject did not themselves agree about what their subject is or is supposed to be. That fact scared me. What I liked about mathematics or physics was that at least everyone had some shared understanding of what the game was supposed to be that we were all playing together. But I think it was also this very difference between philosophy and every other subject I encountered in the university – namely, that what philosophy is constitutes one of philosophy’s central, and most contested, questions – that was also part of what attracted me to philosophy, even as it also repelled me. Forsberg: How did you go from an interest in the philosophy of mathematics and physics to one in the rest of philosophy? Conant: Hilary Putnam, who was one of my teachers at Harvard, said to me: “If you want to be a good philosopher, even if you want just to be a good philosopher of science, you can’t just do philosophy of science; you have to learn about all of philosophy and understand how this part of philosophy is related to other parts of philosophy”. So I took his advice, and started signing up for all kinds of courses that I otherwise might not have had the courage to take, and the result was that I was naturally drawn into the rest of philosophy. Indeed, philosophy of science is now a very tiny part of my overall interest in the subject. Conant: Well, there are different kinds of positivists. I certainly got to know different kinds in my own life. I was using the word “positivist” before in a very inclusive and indiscriminate way, where the relevant specification of the generic worldview here at issue does not rhyme precisely with that found in the writings of some of the classical logical positivists. What matters – or what came to matter to me – about the worldview of the figure I was calling the Positivist Rabbi, is how all sorts of things that he himself deems important have an importance which he has deprived himself of the intellectual resources to be able to account for. There is something here the positivist rabbi shares with a typical positivist, and there is something here that differentiates him from the typical positivist. His conception of the kinds of knowledge that are susceptible of intellectual vindication undergoes the usual positivist kind of constriction, and his conception of the nature of reality, and what can be found in it, undergoes a parallel constriction. The typical positivist, however, revels in the very narrowness of the conception of reality with which he saddles himself. He wants to say “Everything else is nonsense”. He wants to emphasize the unclarity of everything that does not meet his philosophically refined standard of clarity. He wants to wield this as an instrument of intellectual terrorism – an instrument with which to embarrass people who think there could be anything more to reality than what his worldview permits. This person, the one I have just described, is simply a positivist. The Positivist Rabbi, on the other hand, is the person who not only says with the positivist: “Everything else is nonsense”, but then also goes on to add: “But not all of it is mere nonsense; some of it is deep nonsense!” This person feels that there is something genuinely impoverished or incomplete about the positivist world-picture but despairs of being able to find a way to fit those things he himself experiences as most important back into his world-picture. Forsberg: Yes, so there is this kind of strand of positivism that feeds on the idea of a double or divided world? Conant: Yes, right. Another person who was on my horizon, who was a professor of philosophy at Harvard in the years when I was a student there, was Quine. In various ways, Quine is a not a logical positivist. He is a critic of logical positivism. So if we were to be very careful about what we should mean by “positivism”, careful in a way that I was not being in this conversation, we would not be able to characterize Quine as a positivist. But with respect to the distinction I was drawing, between two different ways of inhabiting and adhering to a scientific worldview, Quine belongs in the category of the first kind of character. There’s nothing schizophrenic about Quine at all. There was no “rabbinicalism” in him at all! He was somebody who really, resolutely, wanted to argue that there was nothing to reality other than what physics, in the end, tells us there is. There’s a passage in his review of Nelson Goodman’s Ways of Worldmaking, where Quine says something like this: “Nothing happens in the world, not the flutter of an eyelid, not the flicker of a thought, without some redistribution of microphysical states”. This goes with the recurring refrain in Quine’s work that he prefers a desert landscape – that he wants an austere ontology. This ontology is to be dictated by what we quantify over in a regimented language, one which allows only for those things which physics – where physics has been promoted to first philosophy – tells us there is. That’s not the kind of character I had in mind when I was talking about the Positivist Rabbi. Forsberg: So who would be a paradigmatic case of this here? Conant: The kind of character I had in mind was personified above all by one of my teachers whose name was Burton Dreben. (He was a philosopher. Some of the other important exemplars of such a type among my teachers were physicists.) Dreben was a close colleague of Quine’s; he is footnoted in many of Quine’s papers; and he felt the power of Quine’s worldview. But he was also somebody who was interested in a great many other things and cultivated some of his philosophical mystique by giving one the sense that there were these important and deep things, but, alas, one couldn’t really put them into words without speaking nonsense. This way of thinking about things was originally presented to me together with a certain way of reading Wittgenstein’s Tractatus. For me, working myself free of that reading of the Tractatus was in part a way of working myself free of the attraction that that whole way of looking at things originally held for me. When I became a more mature philosopher, I became interested in elaborating a more inclusive sense of what philosophy is, what knowledge is, what thought is, what rationality is – such that logical, mathematical and scientific aspects of human achievement could fully enjoy their pride of place in our view of things without crowding out the other things that matter to us as well. I became interested in distinguishing between a metaphysical interpretation of what science supposedly tells us and science itself. My philosophical interest therefore turned towards examining the deepest features of this underlying metaphysical interpretation – the features of that interpretation that had become a kind of post-scientific common-sense in much of contemporary analytic philosophy, so that to believe in them no longer even seemed to most analytic philosophers to have anything to do with any particular thing that science teaches us. It just seemed to have to do with wanting to avoid anything needlessly mysterious or supernatural in one’s thought about how things are. Forsberg: I think that it is now easy to see that a lot of your work is a form of response to the problems inherent in the picture of the “Positivist Rabbi”, that you have struggled to reach a way of looking at things where this kind of schizophrenia is, as it were, “cured”. Indeed, many of your readings of classical texts are readings in which you go against the current, as it were, reading these texts as themselves seeking to show that this picture of a split personality collapses, when it is thought through. Conant: Yes. I was unhappy as an inhabitant of this picture. So that unhappiness itself, I suppose, was a ground for provocation to further thought. One thing I think I learned from Wittgenstein is the following: The target of one’s philosophical criticism should be a form of philosophical temptation that one is able to get going in oneself. I have taken this maxim to heart in my own philosophical work. I try to take as central targets of criticism in my work only forms of philosophical confusion which I can make alive for myself, which can truly move me and perplex me. I think it is hard to do philosophy well, if what one is doing is criticizing something that one really thinks is just intellectual garbage to begin with. The tone becomes polemical and contemptuous, and then one is simply preaching to the choir of the converted. If one practices philosophy in that way, one is not going to move the person who is the object of one’s criticism. The only point that remains to writing in that way is to further some political or ideological agenda. It doesn’t really lead to the achievement of philosophical clarity for oneself or for one’s readership. So what I have always tried to do is to identify ways of thinking that I find powerful but perplexing, and then try to figure out why those ways of thinking lead to those forms of perplexity, so that in the process of criticizing those ways of thinking I am also seeking to further free myself from those perplexities. This has implications for how one writes philosophy. I try to write in each case about one of these ways of thinking in a manner which would allow somebody else (somebody who also feels gripped by the philosophical way of looking at things in question) to be able to recognize himself in my characterization of what he thinks. I try to hold on to a sense of what is powerful in the way of thinking, even as I am trying to criticize it. I, of course, can only do this where I myself have succumbed, at least for a time, to the way of thinking that I am trying to criticize. So, in short, it’s no accident you are able to discern that one of the targets in my work is the figure who I have been calling the “Positivist Rabbi”! Forsberg: In which paper can we first see you criticizing this figure? Conant: In my first published essay, “Must We Show What We Cannot Say?”. The person who is my interlocutor, as it were, in that essay, works with the picture of there being deep things we want to say that language will not let us say. Language cannot get a hold of them. And that itself is a sign of their depth – their depth is marked for one precisely by one’s sense of impotence in the face of what happens when one tries to word them. This interlocutor is the philosophical voice of my earlier self. I am very much criticizing an earlier version of myself there and writing my way out of that philosophical picture in writing that essay. Conant: …unless you can at least occupy it for a moment: This sense that “This is what it’s like from the inside to think this is true” is very important here. Let us come back in a moment to the idea that what one criticizes in philosophy is something that one takes to be false. Before we go into that, I want to be clear about something else. What I was saying above, about the kind of writing that I find I am able to do well, is simply the report of a fact about myself. I am not putting this forward as a general principle of authorship. There is something which is the writing of a good polemic in philosophy. I don’t anymore tend to want to mount a polemic when I do philosophy myself, but not because I think polemic is, in and of itself, a dishonorable form of authorship. Some people are able to do it well; and I admire people who are able to do it well. So it’s partly a comment on me that I find I cannot do this well. But I do think it is very hard to write a good philosophical polemic. The attempt, in most cases, tends to degenerate into an exercise in self-congratulation. I try to steer students away from writing about something that they are only going to be able to write about in a way which will involve a note of contempt for their philosophical adversary creeping into their voice. I think for instance that the whole debate that rages in contemporary philosophy, often more in popular, than in serious academic publications, by and about people who are for God, on the one hand, and people who are against God, on the other, is incredibly superficial and shallow – simply because you have people on both sides who are not trying very hard to understand how it is that the people on the other side, who are moved to think differently than themselves are thus moved. So the authors on both sides of this debate are criticizing straw men of their own construction. This yields a very shallow literature. It is a good example of the danger in writing about a topic where one has no sympathy for one’s opponent. But I will also just say, as a second comment on what you said before, that I am not sure whether the true and the false are the primary categories here. I mean this: The things I’ve been most moved to criticize myself, the things to which I myself was previously most attracted in philosophy, turned out not to be cases where I once thought such and such was true and then later came to think the negation of that, so I ended up concluding that such and such was false rather than true. The overcoming of philosophical “error”, if one wants to call it that, seldom assumes so straightforward a form. That is why I have preferred to speak above, following Wittgenstein, of philosophical temptation and confusion. That’s also why I have sketched the Positivist Rabbi as a certain kind of a person, rather than simply as the proponent of a certain kind of position. The deeper attractions of the positions that most move us in philosophy tend to lie deeper: in ways of looking at things that are much more inchoate, far less determinate than any particular philosophical position (that is, anything that anyone could straightforwardly argue for or against) ever is. The positions which we end up trying to defend in philosophy are often just ways of trying to flesh out these more inchoate ways of looking at things. In the case of the positivist rabbi, it’s that initial inchoate sense that certain things that are important are nonetheless such that you can’t fit them into a scientifically respectable worldview, followed by a certain kind of response to that initial sense: a deeply felt sense of the tragedy of what the modern intellectual world seems to be disclosing to us about the nature of our mindedness. My discussion of this topic, earlier in our interview, did not turn on my first identifying certain propositions that were previously taken by me to be true, and then claiming about them that actually one should advance from the thought to the truth-value in the opposite direction in these cases, affirming the negation of what I previously affirmed. Rather, I wanted to bring out something about the underlying philosophical assumptions that brought about this constriction in thought in the first place, the underlying picture of what there is. What a proper philosophical critique of such a picture would amount to, however, is a subject that I managed to answer your question earlier without ever broaching! Excavating such philosophical pictures and showing how they are needlessly constricting is generally not a matter of identifying propositions that are mistakenly taken to be true and showing that they are false. It’s much more a matter of eliciting various forms of confusion in thought. Often the moments that I have most been concerned to focus in on in my own writing therefore are precisely the sorts of moment in philosophizing when I’ve found that I am moved to insist upon something, to lay down a requirement, and where, if I really think through what it is that is pushing me to insist in this way, I find, in the end, that it is empty. But at the time it grips me, it does not seem empty: indeed, it strikes me as deep, as having an aura of profundity and necessity. But when I try to think it through, it falls apart on me. Often there is a truth in it, but not one that one can get into focus either by affirming or denying what I initially wanted to insist upon. Much of my work therefore is about thinking things through to the point where they fall apart, while trying to excavate and salvage the underlying insight that pushes one in such cases initially to insist in this way. Forsberg: Do you think that is the right way to do philosophy? Conant: I do not think that this is the only way to do philosophy, or that what I have just described is the only kind of philosophical criticism that is worth doing. But that’s the kind that has proved most fruitful for me in my own efforts at philosophical self-criticism. Similarly, I am moved to criticize those authors that I take the trouble to write about because I see something in them that strikes me as having evident charisma and power. What I find myself trying to do with respect to such cases is to isolate the crucial, seemingly innocent moments when one finds oneself, while doing philosophy, laying down a requirement on how things must be, or on how one must think about things. This requirement tends not to come about because one has committed oneself to a claim, but rather because one has fallen into a way of looking at things that strikes one as completely banal and innocent. But, in fact, if one tries to think it through, it is completely unclear what the requirement actually comes to. So it isn’t that, at the end of the day, the well-executed criticism in such cases will disclose that there is something which could have been true, but turns out to be false. Rather, at the end, one finds that the words one was drawn to in philosophizing, in order to formulate the supposed requirement, are not able to bear the intellectual freight that they are called upon to bear. But, again, this is only a report of the form of philosophical criticism that I have found most powerful, and, in the end, most liberating for the sorts of cases of philosophical perplexity that I have explored in the most detail in my own work. This exploration does not represent part of an attempt on my part to lay down a requirement on how one must philosophize if one is to philosophize well. Conant: I think philosophy is an incredibly rich thing. The Western philosophical tradition is an incredibly rich tradition and I think it would be tragic if one way of doing philosophy, or one form of criticism, became the model that everybody was forced to adjust themselves to, and every other way of doing philosophy were to die out, simply on account of its difference from this particular model or template of what philosophy can be. Our adherence to a particular way of doing philosophy should not lead us to place all other ways of doing philosophy on the index of forbidden pursuits. Any serious way of doing philosophy, of course, must exclude certain others. But a way of doing philosophy that is unable to tolerate most of the history of philosophy, and unable to find anything of value in it, is a form of intellectual fanaticism which will not itself be able to secure any lasting place in that history. By the way, I don’t think this possibility of a plurality of forms of disciplinary excellence is unique to philosophy. I mean, we could be talking about natural science or literary criticism, and some version of this point could still be made. There are very different kinds of excellent physicist and different kinds of excellent literary critic. The excellence of the one kind of each does not preclude the other. The richness of the full practice that makes up the entirety of either one of those two forms of pursuit is such that very different forms of excellence can flourish side by side within the practice and jointly conduce to the flourishing of the practice. So I am happy to admit that the very particular way I do philosophy reflects just the ways I have found that I am most able to contribute to the ongoing practice of philosophy. I am disinclined to endorse any general proclamations of the form “Philosophical problems must have the form of… if they are genuinely philosophical” or “Philosophical progress must take the form of discovering that where one, … one really… else it is not philosophy”. I don’t think that there is only one form of philosophical problem or one form of philosophical progress. There are philosophers I admire but who have not turned out in the end to be models of how to do philosophy for me. But they are still making important intellectual contributions. I think philosophy would be the poorer for the elimination of these other models for how to do philosophy. I want a conception of philosophy that is rich enough, and tolerant enough, to allow for different conceptions of how to do it and for these conceptions to learn from and enrich one another. Forsberg: I see. What form do you think a philosophical community should take then? Conant: You’re visiting us here – we are conducting this interview here – at the University of Chicago. This is a department that, along with my colleagues, I have put a lot of work into over the years, in the hope that a certain sort of community could come to flourish here. I was also the Chair of this department for a number of years. Just speaking institutionally for a moment, what building such a community meant, in the first instance, was trying to hire faculty and attract graduate students with very different conceptions of how to do philosophy – attract people, that is, who could learn from each other, rather than their all just sharing some single picture of how philosophy ought to be done. What we wanted to avoid is a community that just seeks to replicate over and over again a single hegemonic model of philosophy, in effect thereby simply seeking to advance the institutional interests of a single intellectually provincial “school” of thought. I think that as soon as one starts down that road, in building one’s philosophical community, one quickly begins to straightjacket one’s conception of the subject and one’s conception of who one’s circle of interlocutors ought to be. Very quickly one falls into forms of intellectual narrowness. I have been using certain words here, such as “narrowness” and “provincialism”. Kant and Wittgenstein both speak in this connection of dogmatism. This is a form of philosophical vice one is not going to be able to recognize in oneself for what it is unless one can view oneself sufficiently from the outside so as to be able to appreciate how one appears to philosophical interlocutors who do not share one’s own fundamental philosophical commitments. In the absence of that sort of sounding board, one is not going to be very good at discerning the limits of one’s own way of doing things, because one’s not going to run up against those limits in a way that discloses them for what they are. Those limits will not come into view if they are perfectly replicated in each of one’s philosophical conversation partners. So I think a first requirement of good philosophy must be a willingness to question one’s own philosophical assumptions and prejudices in one’s encounter with fundamentally different ways of thinking – a willingness, at least initially, to try to discern how the difficulties that plague one in philosophy might have their origin in one’s own overly narrow conception of what the problem is, or overly narrow imagination of what the possible solution might be. And if that much is right about what philosophy is – I should say that I don’t think there can be anything like a complete description of what philosophy is – but if even that partial description of what philosophy is has any truth to it, then we do well to engage in the sort of philosophical conversation that has a chance of helping us uncover our own limitations as philosophers. That it is important to keep a capacious, tolerant, ecumenical conception of what philosophy is, and to be open to other ways of doing philosophy, is something I learned from my teacher Hilary Putnam. Forsberg: This suggestion that dogmatism is, more or less, the thing about yourself that you cannot see, is interesting. Dogmatism does not lie in the beliefs that you firmly believe in, but precisely in that which you don’t see. Forsberg: We have already mentioned Putnam and Cavell as two formative thinkers of your work. Both of them were on your dissertation committee. And John Rawls was as well. So you have three of the most prominent thinkers of contemporary philosophy on your committee. And one must ask how that has influenced your way of philosophizing. And, on a more general level, what does it mean to inherit philosophy? Conant: Yes. Let me first be honest and say that my dissertation committee might sound slightly grander than it really was. I was in my penultimate moment in graduate school, still trying to write a dissertation on Wittgenstein, when I decided to change my topic. I was finding I was out of temper with, or at any rate writing things not to the liking of, some of the professors who were supposed to be advising my Wittgenstein dissertation; and that was making it difficult to finish it. As a perhaps overly desperate solution to this problem, I wound up changing my dissertation topic altogether, and therefore also reconfiguring my committee. Putnam and Cavell were already a part of the committee and remained part of it, but it was only at that point that Rawls was officially added to the committee, basically at the last minute. He was someone who I had just been in philosophical conversation with only rather casually until then. He had been a friendly and interested member of the faculty with whom I did a little bit of work early on. He agreed to be a member of my committee, basically so I could once again have the required complement of advisers. But it was more of a compassionate rescue operation on his part than anything else: He was not somebody who was playing a central role in guiding the path of my dissertation. He was never a central teacher for me in the way that Putnam and Cavell were, even though I admired him. He was at the periphery of my intellectual identity, not at the center. Conant: Still have. Yes, certainly. If a philosopher has had an enormous influence on you, then he probably always will have – whether you realize it or not. So, in saying that they had an enormous influence on me at that time, I am just sort of taking it as analytically true that they also still do. Probably in ways beyond what I can appreciate. I also was conscious, in working with the two of them, that I was using each of them partly to balance out the other. One of the things I had a fear of in graduate school was losing my own intellectual identity. I do think this can be a serious problem for a student who is working with a powerful dissertation adviser or intellectual mentor. The well-balanced dissertation committee can help alleviate some of the oedipal problems that otherwise come with having a strong – to employ a German turn of phrase –Doktorvater. The most primitive form of the problem is a kind of intellectual ventriloquism, where the knowledgeable listener and observer is able to recognize even very subtle inflections of the voice, mannerism, and gesture of the teacher, recurring in a less nuanced, sometimes even caricatured, form in the student. In the worst case, the entire philosophical personality of the student is essentially derivative and parasitic on that of the teacher, and the work that the former student goes on to do tends to involve little more than a kind of secondary orbital movement. The student in such cases ends up simply being a satellite – his work faithfully orbits around that of the primary celestial/professorial body. But an overly dramatic attempt to break out of such a form of orbit can also lead to an intellectual trainwreck. I was very conscious in graduate school of trying to avoid both of these traps. I could see them befalling a number of my peers in graduate school. They were becoming Rawlsians, or Cavellians, or Drebenians, certain kinds of, as it were, continuations of their teachers. Or they were trying so hard not to be that, in a second phase of rebellion, the sort of thing that they were now trying to be against in philosophy ended up defining their entire philosophical outlook, completely overwhelming their relation to the subject. I did not want to wind up on either of these trajectories. So I was consciously placing myself in an intellectual force field in which I was pulled in different sorts of directions at once. The magnetic field within which I was working was multiply polarized, so I was drawn in different directions depending upon how I chose to move in it. I had to learn to keep my own balance within it. If I was not going to be ripped apart by opposing forces, I really had no choice but to cultivate my own form of philosophical integrity and unity – one which reflected aspects of each of these two exemplary teachers in such a way that I was not pulled apart by their joint effect on me. Putnam and Cavell were very different personalities, very different philosophers; I think more different than they themselves wanted to admit, when they were for a period trying to form a philosophical friendship. Forsberg: What did they each represent to you? Conant: One of the things Putnam represented for me was somebody who helped me preserve continuity with my intellectual past, with the kinds of topics, for example, in the philosophy of science from where I’d come, while also sharing with me a concern about what could be intellectually impoverishing and philosophically constricting in what one might simply call a scientistic worldview. Putnam was interested in exploring and marking the gulf that separates science from scientism. In this respect he had a set of philosophical interests that were utterly alien to Cavell. Cavell represented for me someone very different: a very powerful model of how to try to inherit the philosophical achievement of the later Wittgenstein. Putnam and Cavell were thus two very different philosophers, and their ways of doing philosophy were equally inspiring to me. But they had something important in common: neither one of them had a need to put their stamp on a student. They were both extremely supportive and encouraging, while giving me a lot of latitude to pursue my own interests. Some of these interests that I cultivated at the time were in no way primary interests for either of them, but each of them was willing to serve as a dialogue partner for me. So I remain extremely grateful to them. If I had to say something about the intellectual virtues that Putnam represented for me, the first thing to mention was his sense of philosophy as forming a unity: that all parts of philosophy are parts of one thing, and that in order to do philosophy well it is important to be interested in how all the different parts of philosophy hang together as one thing. Putnam was especially concerned with how things which might look philosophically unrelated, as they occur in ethics or the philosophy of science or mathematics, can actually be versions of the same problem, simply disguised in a different clothing. For Putnam, part of what it meant to make progress in philosophy is to be able to distinguish between the real form of the problems and their mere clothing and thus to see how the same problems repeat themselves across different areas of philosophy. This requires, among other things, seeing ways in which assumptions from one area of philosophy, from metaphysics or philosophy of language, are simply imported into another area of philosophy, say ethics, and seeing how they then hold sway over there, in that other area, as unexamined assumptions. Putnam was, and is, someone who appreciates that there can be tremendous intellectual cost to instituting a professional division of labor in philosophy. Physics is a field in which division of labor is extremely conducive to the flourishing of the field. Dividing physics departments up into sub-specialties such as solid state physics, and particle physics, relativistic physics, evolutionary cosmology, and so on, allows you to make progress in each of those different areas in a way you could not without those forms of specialization. Putnam made me very suspicious that that sort of division of intellectual labor is generally as productive in philosophy. It very often leads to the institutionalization of intellectual blind-spots and the celebration of new ways of reinventing the wheel. Through his own struggle to attain what the Germans call a Gesamtüberblick of philosophy, Putnam taught me that this is a worthwhile aspiration. There are very few contemporary philosophers, especially in the analytic tradition, who even have such an aspiration, let alone many who get very far in realizing it. Putnam may prove to be one of the last. I admire the seriousness with which he embodies that philosophical ideal. Forsberg: That was a lot about Putnam. What about Cavell? Conant: Cavell had no such ambition. He very much had the sense that there are all sorts of things in philosophy that just weren’t for him and he was not going to read those books or think about those issues that were not meant for him. He wasn’t going to be good at those parts of philosophy and he was going to focus on his strengths. I think it is good to have a teacher like that too. I think I have tried to retain Putnam’s aspiration to attain some degree of overall literacy in philosophy, while also trying to learn to play to my own strengths in ways that I partly learned through Cavell’s example. But there are other things in Cavell I tremendously admired that go well beyond this. In particular, I encountered in his way of philosophizing a powerful conception of what philosophical criticism is. Some of what we discussed earlier, under the heading of ways in which I have sought to single out for philosophical criticism precisely those views that I myself am able to feel the intellectual power of from within, this is something that I learned from Cavell. Those earlier remarks in this interview can be seen as ways of adapting or interpreting some of the various things Cavell says under this heading. Cavell says, for example, that he thinks it is methodologically fundamental to what he calls “ordinary language philosophy” that philosophical criticism proceed in just this way. In the past couple of decades “ordinary language philosophy” has come to mean something much narrower and much less interesting than it might. In our present ways of writing the history of analytic philosophy, it has come to name a particular remarkably dogmatic understanding of the role that an appeal to language might play in intervening in an ongoing philosophical dispute. To that extent it has come to name something that is almost the complete opposite of what Cavell himself meant by that expression. At the moment I don’t want to quibble about what those words should stand for, but Cavell’s description of what is methodologically fundamental to ordinary language philosophy, his various ways of putting what the ideal of criticism there is, has had a tremendous importance for me in shaping my own practice of philosophy. Forsberg: I know that you worked a lot with Thomas Kuhn as well, another major philosopher. How did that come about? What kind influence can we trace from him? Conant: Well. I don’t know. I don’t think that with regard to any of these people – Cavell, Putnam, Kuhn – that I am the best person to figure out exactly how they have influenced me. Probably someone looking at me from the outside can assess that matter better than I can. But I’m very grateful for the friendship I had with Kuhn. He himself was someone who was passionately interested in philosophy, while thinking of himself as not a philosopher in the first instance, but rather always a historian of science. He helped me make some transitions: First, the transition of someone who went from science to the history of science; then that of someone who was trying to go from history of science to philosophy. And then, once I had made that second transition, part of our friendship consisted in me going and meeting with him once a week in his office at MIT and telling him about what philosophers thought about this or that. As I got older and I was a graduate student and was learning more and more about the world of contemporary philosophy, I became something of a native informant for him. He’d ask me questions like “What exactly is the disagreement between Kripke and Putnam about the causal theory reference? How are their theories different?” or “What is this criticism that Rorty has of Putnam in this passage?” And so on. So I would often just be talking with him about issues that he wanted to be clear about in contemporary philosophy. But he was also interested to relate these topics to the kinds of topics in the history of science that he’d always been interested in. He was therefore someone who helped me preserve a sense of the importance of what goes on in philosophy for people who are not in philosophy. I think that that is something that people who move only along certain confined corridors within institutionalized philosophy sometimes no longer possess any sense of. Sometimes to their detriment, because they then get caught up in conversations in which philosophers only talk to other philosophers, without even knowing how out of touch with the rest of the intellectual world they are. I think that part of doing philosophy well ought to involve some degree of worry about how what one does in philosophy might be fruitful for, or at least have a bearing on, conversations that take place outside of the philosophical community, narrowly conceived. Kuhn was someone who constantly kept me in touch with my own sense of this dimension of the importance of philosophy. Forsberg: I still want to press you on what it means to inherit philosophy. I know this a theme that has a specific interest for you, well beyond the immediate context of the teacher-student relation. Conant: Yes. It is not something I have really written about much, but it is something I am glad to have you ask me about. I do think it is a good question. No doubt, one’s conception of what philosophy is shapes one’s conception of what it is to inherit it. To inherit philosophy means to look at what philosophy’s past is and to understand what the relationship between that past and its present should be. There are two models out there of how to do philosophical work, both of which I find I want to resist when I am relating myself to the philosophical past. One possible approach here, embodied in the practice of many contemporary analytic philosophers, is just an attitude of unscrupulous opportunism with respect to the philosophical past. One can look at past philosophy as a treasure trove in which to look for interesting ideas and take what one likes and leave what one doesn’t like. And the past can come to represent nothing more than this to one – a place to raid for ideas. That’s not a very rich conception of what it is to inherit philosophy, to say the least. In reaction to this conception, there are those who have sought to cultivate what we might call a strictly historical interest in past philosophy. They think of themselves as wanting to take past philosophers more seriously. They do not want to have an intellectually cavalier or merely opportunistic relation to them. But often that cherishing of the historical past takes the form of a mere antiquarianism, within which the task of understanding the past philosopher simply comes to this: seeking to attribute to the philosopher only those things that we can know that he would be prepared to attribute to himself. This yields a conception of the philosophical past that has no obvious bearing on the philosophical present, and so again it isn’t really a conception of inheritance. It is really simply a form of preservation, a way of making a kind of intellectual museum of the philosophical past in which we embalm the corpses of the dead philosophers we venerate most. I am not denying that good philosophical work has resulted from both of these ways of approaching past philosophers. But I myself think it would be a pity if those were the only two models we had of how the philosophical present can relate to the past. Your question was about philosophical inheritance of the past. And I think that what that requires is that an aspect of each of the two attitudes I described above is retained, but transformed in such a way that it is no longer incompatible with the important aspect of the other. The first view makes much of the idea that the philosophical past has a bearing on the conversation of the present; that we want to learn from the philosophers of the past, not simply memorialize them. I do think that in order to do that we have to try to think with them, using our contemporary tools, and that means that we have to have a critical attitude. We have to ask: “What is powerful in their view and what isn’t?”; and: “What is living and what isn’t?” We can’t simply have the attitude of the preservationist, there has to be a critical edge. There has to be ways in which we can outgrow them. But, on the other hand, I do think doing this well involves cultivating some of the tools of the historian. It involves some sense of fidelity to their thought. Forsberg: But the hard question is, I take it, what fidelity is supposed to mean here. Conant: “Fidelity to their thought” means having some conception of where they differ from you, and why, and not just being concerned to read your views into them where you can and dismissing the rest. One of the main ways in which we can often learn from the philosophers of the past is by appreciating them for being different, seeing them as philosophically strange, seeing them as not taking our assumptions for granted. They can allow us to familiarize ourselves with a very different philosophical landscape from our own. This means features of our own landscape can come into view for us as salient – features that might otherwise remain invisible to us. This can allow us to see at least what is parochial, and perhaps even questionable, in the assumptions that we make in contemporary philosophy. It allows us to see them at the very least as philosophically optional. But this cannot happen if our only interest in reading past philosophers is one of wanting to mine them for things that we would like to say anyway. Only if we are able to measure our difference from them can we encounter them as philosophically alien. And only then can we learn from them the most important lessons they have to teach us. What this requires is a different sort of a relation to a philosopher of the past than either the merely opportunistic or the merely antiquarian one. It requires a relation which is neither one of taking only what one can already use, nor one of trying to understand him or her merely for the sake of historical accuracy with no bearing on the philosophical present. It requires a complicated form of alternating movement. One must be equally capable of appreciating the pressing problems of the philosophical present and of appreciating what the past philosopher considers philosophically pressing and urgent in his way and for his purposes. And, finally, one must be capable of seeing how each of these forms of appreciation can bear on the other. Doing that, I think, involves something that Kant called “trying to understand the philosopher better than he understood himself”. So one is not just doing what the historian is doing, telling us what the dead man thought. But one is also not just ignoring what he actually thought in trying to say instead what we ought to think now. One is trying to say what the past philosopher’s own philosophy, if fully thought through, strictly, to its own end, would commit even him to. And that can lead to something which, if properly held in thought, possesses the potential to transform philosophy, as we now know it, in unforeseeable ways. This idea of “thinking through a philosophy to its own internal conclusions” is something that I have described, borrowing a turn of phrase that comes up in secondary literature on Wittgenstein, as a resolute reading. Giving a “resolute reading” does involve a principle of fidelity. One is trying to understand the past philosopher’s thought from the inside, but not necessarily in such a way that everything one ends up ascribing to him is something that he would have ascribed to himself at the time of writing. The fantasy, I guess, underlying such a reading is this: If one could have a philosophical conversation with the past philosopher, and bring him to see what his own deepest philosophical commitments obligate him to, he would come to see things in the way one is seeking to bring out in one’s reading of him. I think that something like that way of relating to a philosopher – trying to understand the thinker better than he understood himself – is the fundamental mechanism of philosophical progress in the history of philosophy. It characterizes relationships otherwise in their details as different from one another as those involved in Aristotle’s relation to Plato, Spinoza’s relation to Descartes, Hegel’s relation to Kant, Heidegger’s relation to Husserl, early Wittgenstein’s relation to Frege, or John McDowell’s relation to Sellars, just to take a few not so recent and a few more recent examples of the way in which philosophy comes to grow by one thinker engaging with the thought of another in the aforementioned kind of way. Conant: One is trying to put things in a way that the philosopher would not immediately recognize as a description of what he thinks but nevertheless a way that he could come to see as nonetheless something that he does (already, in some sense) think, and in such a way that it illuminates what is most fruitful, as well as what is most problematic, in his entire philosophy. To achieve this end it can no longer be mere paraphrase or exposition that we offer of the philosopher’s thought. It involves thinking with the philosopher, not just repeating what he thought. So, the interpretive task is at one and the same time a philosophical task. If I had to say what connects my work on thinkers as different from one another as Kant, Kierkegaard, Nietzsche, Frege, and Wittgenstein, I would say that it is this: in each case what is involved is an attempt to read these philosophers in the manner I have just sought to characterize. This is a kind of unity in my work which lies in a place where I think most people have not looked for it, but I think it serves to bring out underlying affinities among the very different things I do. 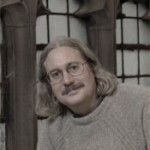 James Conant is the Chester D. Tripp Professor of the Humanities, Professor of Philosophy, and Professor in the College at the University of Chicago, as well as co-director of the Leipzig Center for German Idealism. He has published numerous articles and several books in a variety of languages, on topics in philosophy of language, philosophy of mind, aesthetics, and the history of analytic philosophy, as well as on the interpretation of Kant, Nietzsche, and Wittgenstein. He is currently working on four book-projects concerning skepticism; the resolute reading of Wittgenstein; the aesthetics of film; and the interpretation of philosophical texts. He has been a Fellow of the Michigan Society of Fellows, the Wissenschaftskolleg zu Berlin, and the Lichtenberg-Kolleg in Göttingen. In 2013, the Alexander von Humboldt Foundation awarded him the Anneliese Meier prize for research. James Conant is member of the International Advisory Board of the Wittgenstein Initiative. Niklas Forsberg is a researcher/lecturer at the Department of Philosophy, Uppsala University. He is the author of Language Lost and Found: On Iris Murdoch and the Limits of Philosophical Discourse (New York: Bloomsbury, 2013) and Co-editor of Language, Ethics and Animal Life: Wittgenstein and Beyond (New York: Bloomsbury, 2012) and Making a Difference: Rethinking Humanism and the Humanities (Stockholm: Thales, 2011). He has previously written on Wittgenstein, Cavell, Murdoch, Austin and Derrida. 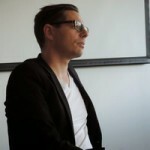 The interview took place at the Department of Philosophy, University of Chicago, May 16, 2012. This page is made available under the Creative Commons General Public License “Attribution, Non-Commercial, Share-Alike”, version 3.0 (CCPL BY-NC-SA).